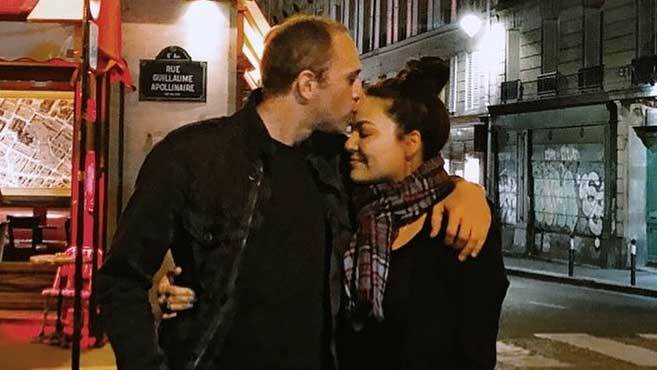 Last Thursday, August 30 (Manila time), KC Concepcion, posted on her Instagram account a heartwarming birthday message for her boyfriend, Pierre Plassart, aka Pep. She wrote, "HAPPY BIRTHDAY to the truest gentleman I know. He taught me how to be a lady and allow a man to pour the bottles of water or wine, he eats AFTER I take my first bite, he still kindly opens doors, speaks gently, argues fair, is wildly affectionate, and respects all that I am. Chivalry is NOT dead!" KC continued, "Thank you for flying me over and having me here in Paris with you for this special day. I appreciate you and all you do, in every language we speak together!" Her post was accompanied by a sweet photo of her and Pep hugging. The comments section of KC's post caught the attention of fans. KC's mom, actress-singer Sharon Cuneta; her stepfather, Senator Francis "Kiko" Pangilinan; and her biological father, actor Gabby Concepcion, sent some wonderful words of love. Sharon turned emotional, saying that she was crying tears of joy. She also greeted Pep and said, "I love you, my Tutti." Sharon even reposted KC's photo on her own Instagram account and wrote a long message about the lovebirds: "Maria Kristina Cassandra, THIS ONE. This boy I have loved (and missed) for years. This boy Mita loved. This one. My full approval, with all my heart and soul. This one. I pray for your love and for forever." Senator Kiko had this to say about love: "Love will withstand all, will conquer all." Gabby congratulated his daughter and quipped, "In love baby ko." Stay in love, KC and Pep!